A few days ago while on Facebook, I came across a rather intriguing post from TeachersPayTeachers. (If you are a teacher and haven’t heard of TeachersPayTeachers and want to learn about them, click this link) The post was titled “What’s the biggest misconception about being a teacher that you’d like to disprove?” As soon as I read that title, I was transported back in time to a rather infuriating experience endured while attempting to lesson plan and write reports at a coffee shop on a lovely Sunday afternoon. Upon hearing those words I became overwhelmed with anger! I wanted to confront this ignorant statement and the man who spoke it, but did not trust my emotions. By the time I settled down and was capable of rational thought he had left. Had I been more mindful and less caffeinated, I would have invited the gentleman to sit down at my table for a little information session to help disprove his misconception regarding my profession. I would have started and perhaps ended the conversation by pointing out a glaring irony before us, which was the fact I was working on a Sunday, preparing lessons for 28 students, while he was enjoying a latte and bashing teachers. Well, enough about my recollections. This post is dedicated to all teachers who wish to disprove misconceptions they face regarding their profession as teachers. There were over 900 responses to the question, so I couldn’t include all of them. Teachers of all grades and subjects left comments, so I picked a few that were representative of each group. I divided the comments into Preschool, Kindergarten, Subject Teachers, and general misconceptions all teachers face groupings. No names of individuals are included in this post and are not necessary. However, you might want to print out their responses in case you ever encounter a situation such as mine. A great deal of research has gone into the subject of early childhood education and its importance in a student’s life. Some would argue that Preschool is the most important year of school. To learn more click this link. If you have never spent time in a Kindergarten and are plaining to do so, make sure you get a good night sleep before hand and eat a hearty breakfast because you will need the energy! So much is going on during the course of a morning, or full day in some cases, that it is amazing. Kindergarten teachers wear many hats. 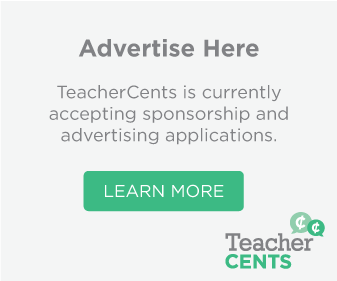 Click this link to read an article from the Houston Chronicle about the many roles of a Kindergarten teacher. 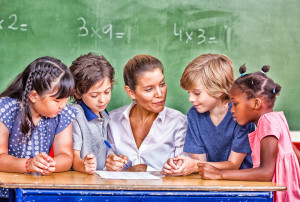 This link from Harvard Magazine details how a good Kindergarten teacher can impact a students future earning potential. Kindergarten involves a lot more than just playing and coloring all day! “That being a P.E. Teacher isn’t a joke. This isn’t your parents’ PE class and it probably is not yours either. I teach physical education, not gym! It is a sad reality that many schools have curtailed or eliminated their Arts, Music, and Physical Education programs do to shrinking budgets and cost savings initiatives. I personally believe this is a tremendous disservice to students and has a negative impact on their cognitive and physical well-being. I am not alone in this belief. To read what others have said on this subject click here and here. “That you don’t do anything. That teachers have so many holidays and weekends. This is the biggest misconception and it makes me mad when people say that. I think people who say it need to go and be a teacher for a week and see what it’s really like. For those people in your life who still think teachers only work from 9am to 3pm show them this graphic from UpWorthy. Perhaps the hardest misconception to dispel because the general non-teaching public is so envious of this concept, is the widely held belief that teachers have summers off. Click this link to read a great article from edutopia.org on what really goes on during those summer months. This link, from The Atlantic also takes on the summers off debate. For those people who will still insist teachers are so lucky to have summers off because they must be having the time of their lives, check out this funny post from Buzzfeed. Again, those were just a few responses out of nearly a thousand left on that Facebook post. I encourage you to find it on Facebook and spend some time reading through all of them and share it with other teachers or with someone you know that might have some misconceptions that need clearing up. If you have anything you wish to share regarding this post, please comment below. 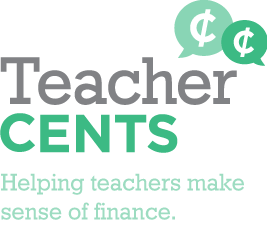 Remember to visit teacherspayteachers.com to learn more about what they do and how you can become a part of it. Thanks for reading and for sharing!